ABViewer for Windows XP - functional image viewer. 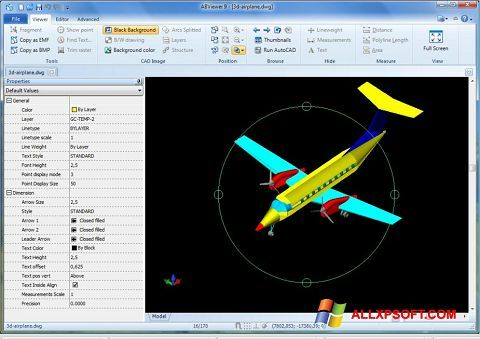 The application can import raster images, vector fragments, formats of three-dimensional models, uses the built-in data manager, includes a full-screen view mode and the ability to print drawings of unlimited size. The functionality of the editor allows you to make changes to parametric assemblies and vector plans, contains linear measurement tools and the ability to export to CAD systems formats. The program includes a batch conversion method and an advanced file metadata search tool. You can free download ABViewer official latest version for Windows XP in English.